I apologize for not posting anything in an uber long time. I've been so busy with school, work, and everything in between. I'm planning to come back as I have many great posts to share! There will be recipes, beauty posts, and hopefully some videos coming up soon! And there will be miscellaneous posts between the week. Please subscribe to my blog, leave comments if there is anything you'd like to see, and follow me on instagram & twitter! This past Sunday I was delighted with food and drink at one of Toronto's most delicious restaurants. Cibo Wine Bar is located in downtown Toronto at King Street and Brant Street, and it offers authentic and positively delicious Italian food. On Sundays they have a buffet brunch for $35 and this includes pasta, pizza, salad, seafood, sandwiches, bread, cheese, cold cuts, desserts, and a glass of champagne or a mimosa! I can't even utter how amazing the food was or what a great deal it was for the $35 price tag. I made the reservation through OpenTable Toronto, and I have to say it couldn't have been easier. OpenTable is great for finding restaurants of any cuisine, location, and price tag and for sealing the deal with reservations. You can be reassured that your reservation is set and your table will be prepared for you. You can use either their website or app to make the reservation. I will definitely be using OpenTable for all my future reservations. For lunch at Cibo, my boyfriend and I many great dishes. I enjoyed many vegetarian options which included sandwiches, figs, cheese, bread, and polenta fries. We both shared orrecchiette in a rose sauce (this was to die for! ), and casarecce primavera. You were able to make your own pizza, which we obviously did, and we enjoyed the wood oven pizza so much. On our pizza there was grilled zucchini & peppers, red onions, tomato sauce, mozzarella, parmesan and prosciutto on half of it for my manly man. For dessert there were a dozen cakes to try and many pastries and lots of fruit. I tried the brownie cheesecake and I was again, not disappointed. If you live in Toronto or are planning on a visit, please go to Cibo Wine Bar for it's amazing food, great service, and very pretty atmosphere. I had a wonderful Sunday because of my brunch experience. You won't be disappointed any day of the week at Cibo, and I can guarantee you will be happy all day. Ps. There will be a post up next Wednesday at the same time on my outfit and makeup look! Good morning everyone! 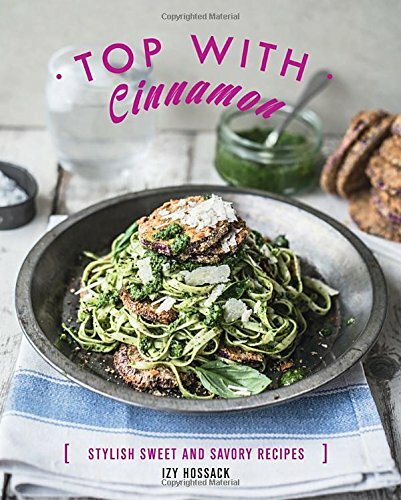 Today's recipe is once again from Izy Hozzack's Top With Cinnamon cookbook. As you may already know, I am completely obsessed with this book; it has such beautiful photos and great recipes. Izy's Cornbread with Cinnamon-Sugar is so simple, but still delightful. It's a very different cornbread than I'm used to as it's very light and almost cake-like. To start, preheat your oven to 350 degrees and grease a 8 inch pie dish. Melt the butter, and add in the sugar, egg, milk, and cornmeal. Next you'll add in the flour and baking powder and combine. Pour the mixture in the prepared pie dish, and sprinkle the top with the cinnamon-sugar. Bake for 25-30 minutes, and once cooked through, serve with butter and jam! This cornbread couldn't be easier, and it's surprisingly delicious with the cinnamon-sugar on top. If you make this for your family and friends, they will definitely enjoy it! For today's post I bring you the lentil and brown rice burger! I've made these almost in the form of falafels, but they're a much different take on them. These are crispy, filling, healthy, and just plain ol' delicious. If you like how that sounds, keep on reading! To start, preheat your oven to 375 degrees. You can make these either by hand or in a food processor. If you make them by hand you'll need to mash the lentils pretty well, then add in all of the ingredients. If you make them with the help of a food processor, just throw everything in and whiz it up. Once the ingredients have been combined well, and it becomes sticky, you'll want to start making the burgers. Line a baking sheet with parchment paper and oil it lightly so the burgers don't burn. Bake the burgers for about 20 minutes, flipping halfway through. Once out of the oven serve with a bun or do like me and enjoy them with hummus, pita, baby spinach and some cherry tomatoes. This is a great meal that is quite filling as well. It's vegan, gluten free, and will make you feel good once you're finished. Bon appetit! Follow me on instagram, twitter, bloglovin, and youtube! Good afternoon! Hope you all had a nice weekend. Today's Makeup Monday post is about the wonderful Clinique Chubby Stick. I have been a user of the Clinique Chubby Stick for years now. It's easy to throw into any bag, purse, or pocket. It can take you through day to night depending on your makeup look. It keeps your lips moisturized, and has a pigmented colour to it (which is important when looking for a moisturizing lipstick of sorts). Sometimes products are too sheer or not moisturizing enough, but this one is just perfect. It's not the cheapest product, but it does retail for under $20. It'll last you quite a while. I use mine almost every day and I've had it for at least 6 months so far. The shade I always reach for is Super Strawberry; it's a great pinky berry colour which is suitable for every skin tone. Follow me on instagram, twitter, and youtube! I'm also on bloglovin! There will be a new post on Wednesday at 13:00 EDT. Ps. I use the Clinique Chubby Stick in my video. Subscribe to my channel and like the video! Good morning! Today I bring you my orange scones. This recipe is super easy and it makes the most delicious scones. You'll want to make them all the time after trying them once (trust me, I went through a scone phase). To start, preheat your oven to 400 degrees. Mix together your milk and egg thoroughly. In a separate bowl, mix together the flour, sugar, baking powder, and salt. Grate the butter into the dry ingredients, and combine until it becomes like sand. Add the zest and juice of one orange, and mix well. Stir in the milk mixture, and combine until a dough is formed. On a floured surface, form the dough into one flat circle round, or two depending on the size of scone you prefer. I like a medium size which means I can get 16 scones out of two rounds. Cut into triangles, sprinkle a little sugar on the top, and pop in the oven for 15 minutes. The scones will be perfectly golden brown. These scones are rather easy to make, and turn out just so delicious. Make a double batch because they'll go fast! Follow me on instagram, twitter, bloglovin and youtube! As you may or may not know, I 1. do not wear tons of makeup & 2. buy makeup that is reasonable priced. Today's Makeup Monday post is all about a drugstore foundation. This Rimmel London foundation is perfect for more fair skin tones, and it keeps your skin looking natural. I picked up this foundation in the shade 010 Light Porcelain. It's a perfect match to my skin which is astonishing because I can never find a foundation that is light enough for me. It is also under $10 and can be found at your local drugstore, Walmart or Target. It glides onto your skin and doesn't feel heavy either. It keeps your skin looking like skin. It also doesn't melt off which is great for an event or a hot day. I could keep rambling on about how awesome this foundation is, but I won't. All I'll say is if you're looking for a new full coverage foundation that doesn't feel like full coverage on your skin, then this is for you! Give it a try and let me know if you like it or have another foundation preference in the comments below! Follow me on instagram, youtube, and twitter! And please subscribe to my blog! Good morning! I feel like there was no way to come up with a shorter title so I do apologize for it! It is quite the mouth-full! These cookies are also quite the mouth-full because they are very filling, delicious, and also great for your body! If you like the sound of dark chocolate, bananas, and oats then this recipe is for you. *If you like a little more sweetness to balance the bitterness of the dark chocolate, either substitute the dark chocolate for milk or add in a tsp of maple syrup. In a bowl, combine all of your ingredients with a spatula or wooden spoon. Everything should come together quite easily. Portion out the batter into 1 inch balls and flatten a little when placed on the baking sheet. The cookies won't spread while cooking so you can put them rather close. Bake for 15 minutes or until the cookies become golden brown. Let cool and enjoy! These cookies are delicious since they're soft and chewy. The outside gets a little crispy so altogether they form a great cookie. Enjoy them for breakfast, dessert or as a snack! And don't forget, they're vegan and gluten free so anyone can enjoy them! Good afternoon! Today's post is all about my Roasted Summer Salad. Right now there are so many vegetables that are in season and this means that they taste their most delicious and they're also more affordable. You can make this as a lunch for two, a dinner for one, or as a side dish without the lettuce. It is also vegan & gluten free. To start, preheat your oven to 375 degrees. Line a baking sheet with parchment paper all throw everything together except for the green onions, lettuce, and nuts. Toss everything together so the veggies are well coated. Bake in the oven for around 30 minutes or until everything is golden brown and delicious. To assemble your salad, place your butter lettuce leaves or greens as the base in your bowl. Put all the roasted goodness within the lettuce cup/base, and sprinkle the green onions and nuts as a garnish. For a dressing, balsamic vinegar works well. You can keep this plain as well as it is quite flavourful. Enjoy! Follow me on instagram, twitter, and youtube! Please subscribe to my blog to keep in the loop! Good afternoon everyone! I am introducing a new series called Makeup Monday, where I'll be posting about my favourite makeup products, looks, or anything else beauty related. Today's post is for all those fair-skinned ladies out there (like myself) who want a bit of a glow in the summer time. I am super pale, and I'm proud to say it. I don't really tan, I just burn. And when I burn, I become a lobster. With that being said, I stay out of the sun as much as I can, but I still want my face to have some life in it. This bronzer is perfect for my skin tone as it provides a glow without being 1. orange or 2. excessively dark or 3. super duper shimmery. These three things give the whole bronzer thing away which is why this bronzer is just plain perfect. The Body Shop does some really nice cosmetics that are ethically produced (always a good thing). And it won't break the bank. You can shop for it here. The bronzer of my choice is in the shade 01 Light Matte. If you're a fair-skinned lady like myself, give this bronzer a try. If you have any good bronzer choices, leave them down in the comments below! Follow me on instagram, twitter, and youtube. And of course, please subscribe to my blog! Happy Father's Day to all the fathers out there! If you're not a father, I hope you're spending it with the father in your life. Today's Weekend Baking post is all about the Swedish Chocolate Cake. This is not my own recipe, but out of Izy Hozzack's Top With Cinnamon Cookbook. (which is a great book by the way) This cake is gooey, and chocolatey, and all sorts of wonderful. Plus, it's just so easy! If you have all the ingredients on hand, which you probably do, you need to make this straight away. Please make it, you will not regret it. To start, preheat your oven to 350 degrees. In a medium pot, melt the butter. In another bowl, mix together all of the dry ingredients. And in a separate small bowl, beat the eggs with the vanilla extract. Once the butter has melted, take the pot off the heat and add in the dry ingredients. Add in the eggs afterwards, and mix thoroughly. The batter should look like chocolate fudge. Follow me on instagram, twitter, and youtube. Please subscribe to my blog also! Is it possible to have a cleanser that is gentle but effective? Yes, the answer is yes. Nivea has created the most wonderful cleanser in a body that makes cleansing your skin easy and very affordable. This is the first micellar water I've tried, partly because the rest of the lot are quite pricey. I picked up this amazingness for around $10.00, and it was such a great buy! This stuff will last you a long time as you only need a little to take a whole face of makeup off. It's moisturizing on the skin, and even tones! It transformed my outlook on micellar waters in general, and I'm completely converted to this 3-in-1 method. If you're looking for a product to take off makeup and the day's grime, definitely give this a purchase. You will not be disappointed! This is an introduction to my pup, Bingley. He's a yorkie bichon who has a little personality, and he deserves some love. (He really enjoyed making this vlog) Give this video a thumbs up if you like it and leave any comments down below! Please subscribe to my channel! Good afternoon everyone! Hope you all had a wonderful weekend! If you didn't know already, I have a shop on Etsy called Melody Anne Prints. There I sell my own photography which includes lots of architecture, landscape, and urban pieces. I am offering a sale that goes until June 30th. This is a big sale. You can get 50% off your entire purchase using the offer code SPRINGSALE. I urge you to go and check it out, and if there's anything you like, remember you can get 50% off! You can take a look at my shop here. Ps. My blogging schedule tends to be a post every Wednesday at 1300 EDT and every Sunday at 10:00 EDT. I've had guest posts the last two Saturdays that are book reviews so if you're interested in doing a book review guest post please comment down below or contact me through the contact section! I will also be starting to post on Mondays at 1300 EDT as well. And please subscribe if you'd like to be kept in the loop. Follow me on instagram, twitter, and youtube! In today's video I give you a look into what I ate. I am not a vegan, but a vegetarian, but this particular day everything I ate was vegan. Give this video a thumbs up if you like it and leave any comments down below! Please subscribe to my channel! Good morning everyone! I am a shortbread addict. During the holidays, my dad bought me a 4 lb tin of shortbread! We demolished it fairly quickly. 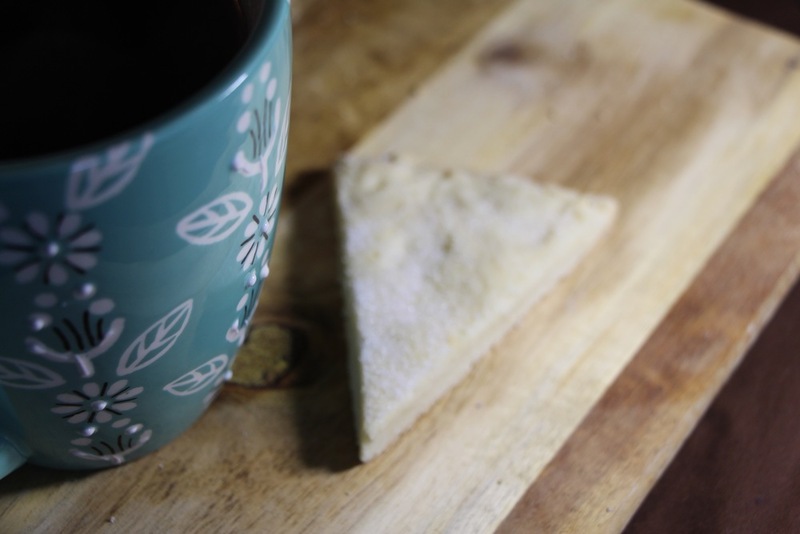 Today's recipe is on the traditional Scottish shortbread. It is super easy, and will become a favourite amongst your family and friends. To start, preheat your oven to 350 degrees. In a bowl, combine the flour and sugar. Add the butter and massage the dry ingredients and the butter with your thumb and index finger. The mixture should resemble coarse crumbs. Bring the dough into a ball and transfer to a lined baking sheet. Flatten or roll out the ball into a 1/3 inch thick round. Sprinkle some extra sugar over the round and pop in the oven for about 10-20 minutes. You want the shortbread to be lightly golden in colour. Once out of the oven, cut into triangles and let cool. Serve with coffee or tea and enjoy! Did you know that I have a youtube channel? Well I do, and you should subscribe! Take a look here. I absolutely adore makeup and all things beauty, yet I rarely where the stuff. When I do wear makeup, I like to keep it simple, light, and very fresh looking. Today's post is on my spring/everyday makeup look. I used the Clinique CC Cream in Very Light as my base. I did a review on it a couple of weeks ago and you can see it here. And I put it on with the Sonia Kashuk Buffing Brush No. 130. It's a great brush that was around the $10 mark; definitely a steal! I used the Rimmel Wake Me Up Concealer under my eyes and on any blemishes I had. I really like the Eco Tools Foundation Brush to put on concealer. It's weird I know, but I like how big it is for under my eyes. For blush I used the Sephora Blush in Romantic Rose No. 10 and put it on with the e.l.f. Contour Brush (a $3 brush!!!). Usually for a regular day I won't wear mascara, but if I'm really trying to look good, I'll put on the Covergirl Full Lash Bloom Mascara. This mascara leaves your lashes so long and soft; they end up looking really natural which is always a good thing. And finally I used the Clinique Chubby Stick in Super Strawberry on my lips for a great colour and moisturizer. This look is really simple and won't melt off in the warm heat. It makes you look natural but still bright and fresh. Let me know what you think in the comments below. If you'd like to see me in action, click here. Here's a vlog about the day in the life of my dog Bingley! Subscribe to my YouTube channel & give it a thumbs up if you like it! My blog and I have officially moved hosting sites. I was with Wordpress for just over a year, but found that there were some limitations. I've moved over to Squarespace and I have to say I like everything about it! The only downside was that I couldn't take over my followers (sadface*). Nonetheless, the posts will continue and exciting things will still happen! Also, I'm hosting a blogger chat today at 1200 EDT time! Please join in and follow me @melodyyannep!